March 16th. This day is going to change my life. It is the day I am going to see my favorite band perform in New York. I have loved Coheed and Cambria for just about 9 years now, for reasons that could I could take pages to talk about. Anyway, there is finally a concert in my area, with seating (so I don't die in a mosh pit), and I wanted to show my support through my outfit. 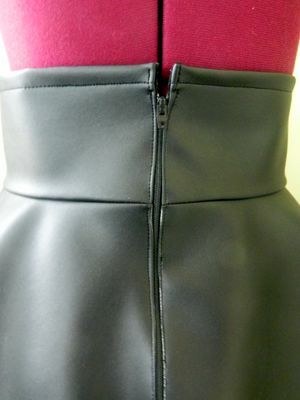 I had an image in my head to make a high waisted flare skirt and embroider the band's design on the side. I wanted to make the pattern myself, because I couldn't find a suitable one online and I knew it would be a good challenge. 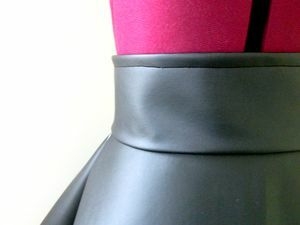 I followed sweetmaterials tutorial on youtube to make my skirt sloper. 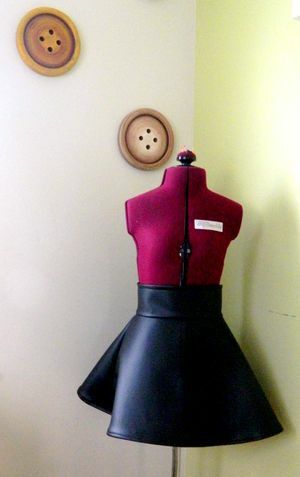 I took flat pattern in college and had a textbook which helped me alter the sloper to make the skirt. I bought vinyl on sale at JoAnn's because I thought it would be similar to an artificial leather. 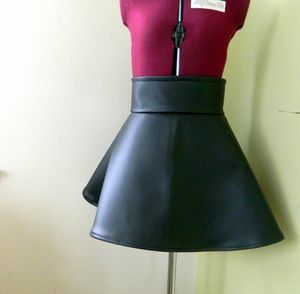 This vinyl was surprisingly easy to work with, but I really don't think it was meant to be a skirt. 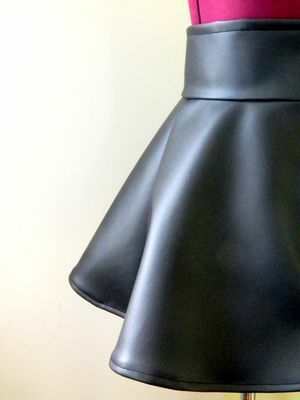 One of the reasons I chose this fabric though was because I wanted the strong shape that it formed. The next step is to start the embroidery, which is also a new learning experience for me. This band has gotten me through many ups and downs in my life. It has motivated me like no music has done before. But one of the best things Coheed has done for me is open up my ears to incredible music that I wouldn't have thought to listen to before. When I first started listening, I wasn't very interested in music. It was just there. But after a few months of listening to Coheed, I started looking up new music. I started wondering what other bands were out there and it opened my world to such amazing noise and creativity. I have this band to thank for all the music I listen to today. 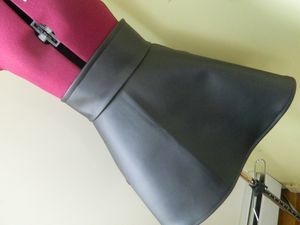 Have you ever made concert clothing? Or clothing inspired by music? I would love to see some musically influenced designs! And check back to see the embroidery!